Welcome to our bright and cheery office, where adults and children alike enjoy their visits! If you’re visiting with us for the first time, we’d like you to know exactly what to expect. We want to provide you with a great experience and will make sure that you feel welcome and supported every step of the way. Our office is often described as warm, friendly and upbeat, with a positive vibe that results in lots of laughter. We hope you think so, too! Your first visit will take about one hour. As you enter the office, you’ll be warmly greeted by one of our staff members, who will invite you to sit down to complete your new patient paperwork. She’ll also make a copy of your insurance card to begin the process of verifying your insurance coverage while you’re meeting with the doctor. Your evaluation will be followed by a report of findings, which is a review of your examination results. Customized care options will then be discussed that will align with your stated goals. Our mission is to assist you in enjoying a lifestyle that’s active and free of dysfunction; we’ll be there every step of the way offering a helping hand to make your goals a reality. Your visit will conclude with your first gentle chiropractic adjustment and any recommended physical therapy. Subsequent visits usually take about 20 minutes, depending on the complexity of your case. Each appointment will include a chiropractic adjustment, and possible physiotherapy in the form of traction, ultrasound or inferential to assist you in healing quickly. Our patients also appreciate the input of our extremely knowledgeable staff, who are always happy to answer questions on a variety of lifestyle topics, including diet, functional nutrition and exercise. We’d love to partner with you in helping you to feel great. 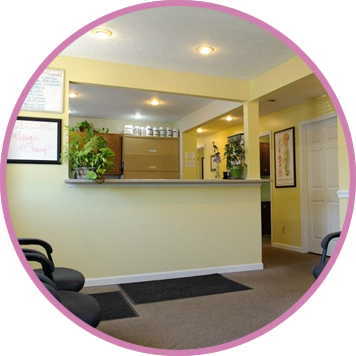 Contact our friendly and accommodating practice today. We accept most insurance!